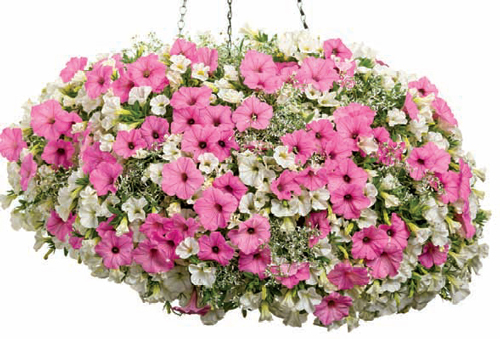 Our ‘Italian Ice'™ Proven Winners® Combination is given that “icy” look by combining our Diamond Frost® Euphorbia with our Superbells® Trailing White Calibrachoa and then adding Supertunia® Vista Bubblegum for incredible flavor. The plants in our 'Italian Ice' Flowering Combinations are grown and shipped in fine quality growing medium and are guaranteed to arrive alive and ready to thrive. Comment: These plants came in beautiful condition and look so great in the black container I planted them in. They were so pretty when I received them I ordered another set for the twin container I have. I couldn't ask for better. Thank you GrowJoy.